The CSIR microfluidic foundry facility in Pretoria is a clean room where silicon wafer moulds are manufactured. The laboratory houses compact and low-cost systems for chemical and diagnostic applications, including multiple microfluidic technology platforms. The facility is complemented by a biological safety level 2 laboratory that allows for samples, such as bacteria and blood, to be handled in the development of point-of-care diagnostic devices. 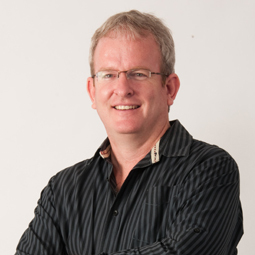 The miniaturisation of chemical and biological processes can be tested rapidly at the facility, enabling the development of point-of-care diagnostic devices, which have great potential for South Africa’s rural community in providing health monitoring products. The universities of the Witwatersrand and Pretoria, with expertise ranging from chemistry to electronic-related fields, often make use of these facilities. In addition, commercial entities utilise the facility to test new product ideas. Collaboration with international experts in the field of microfluidics has contributed to the expansion of the facilities to include centrifugal and paper-based microfluidic platforms. These are now also available for use by industry and provide a larger scope of use. 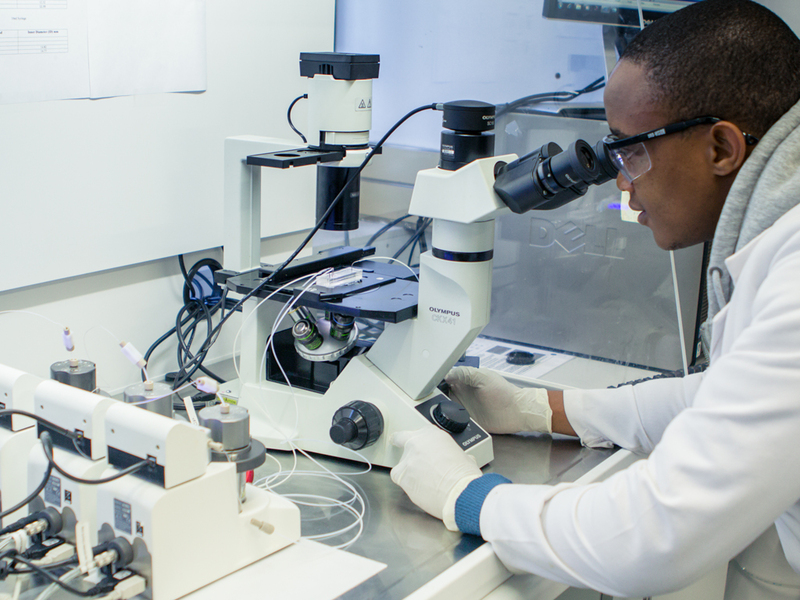 The microfluidic foundry facility is the only one of its kind in South Africa. In addition to its biological safety level 2 capability, soft lithography (the process used for the manufacture of microstructures through printing and moulding) and centrifugal microfluidic platforms have been established. The centrifugal microfluidic platform enables microfluidic disc devices to be manufactured and assembled using low-cost plastic and adhesive layers. Currently, centrifugal microfluidics is used for the rapid pre-concentration of bacteria from water samples. A test set-up to rotate the discs to manipulate fluid through centrifugal forces and to record and analyse the discs has also been implemented. Upgraded microscopes and camera systems allow for high-resolution images and high-speed videos of the microfluidic devices in action to be captured and analysed in the microfluidic manufacturing laboratory. Testing platforms for various projects have and continue to be set up, including mechanical and electronic designs, to implement fluid propulsion in the microfluidic devices in a controlled manner to test and quantify the devices. Examples include actuation set-ups to allow ports on microfluidic devices to be closed, as well as blister packs serving as reagent storage mechanisms on board microfluidic devices to be released, in a controlled and repeatable manner. The clean room equipment includes spin coaters, programmable hot plates, a mask aligner, laminar flow hoods and wafer development facilities. The manufacturing laboratory has an oven, oxygen plasma unit, jigs for polymer casting and polymer mixing and curing capabilities. The centrifugal microfluidic platform includes materials and equipment for manufacturing the microfluidic disc components. Polycarbonate sheeting, as well as pressure-sensitive adhesive layers machined using a vinyl cutter plotter, create the layers of the discs, which are assembled using a cold roll laminator. The discs are tested using a set-up containing a motor to spin the disc at different speeds and a visualisation unit consisting of a camera and synchronisation hardware to capture images and analyse the disc operation as it spins. Microfluidics is a science that deals with the flow of liquids inside micrometer-size channels used for the designing, manufacturing and formulating of devices and processes that deal with volumes of fluid in the order of nanoliters or picoliters.